In the US, more than 300,000 people are diagnosed with Lyme disease each year. The Centers for Disease Control and Prevention report that the number of counties considered Lyme disease hotspots has risen from 69 in 1995 to 260 in 2012. At the same time, the range of the ticks that transmit the disease has doubled. Expanding tick populations, climate change, and forest fragmentation are all expected to contribute to the continued spread of Lyme disease, which has emerged as one of our nation’s most complicated public health crises. In the Northeast, the blacklegged ticks that infect people with Lyme disease can also transmit babesiosis, anaplasmosis, and Borrelia miyamotoi. Co-infections are not uncommon. Lyme disease can be difficult to diagnose and treat, and the impacts on victims and their families are often profound. Treatment is also expensive -- a recent Johns Hopkins study estimated that tick-borne illnesses cost the US healthcare system up to $1.3 billion annually. While some aspects of Lyme disease treatment are controversial, everyone agrees about the importance of disease prevention. No human vaccine is available. 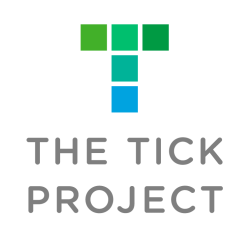 Prevention hinges on reducing encounters with infected ticks, a strategy which relies on a deep understanding of the ecology of Lyme disease.